SEATTLE, WA: Big Trees Inc., (http://bigtreesupply.com/) a tree transplant and tree nursery company in the Seattle area, recently undertook a project of landscaping a property in the Hyak area of Snoqualmie Pass. The project will involve moving multiple trees onto the property to enhance two areas of the estate. 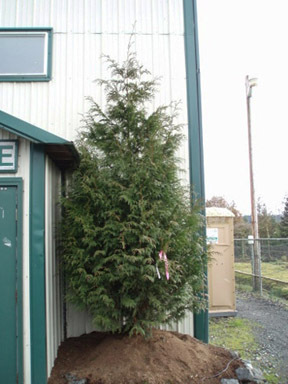 Big Trees Inc was contacted by the client and asked to transport the trees in, specifically 15 large Cedar trees for the property. The client requested to have 5 large Thuja Cedars, at 24 feet tall, be brought in as a privacy screen between the property and the road, as well as 10 more Cedar trees at 12 feet tall to be added amongst them. Almost the entire Big Trees installation team will work on the one project to oversee a one day installation. Consideration had been asked on the part of the client for the surrounding community and neighbors to be impacted as minimally as possible, so the Big Trees tree transplanting team will work in close co-ordination and with such a large project team will optimize the time frame for a 24 hour installation period.